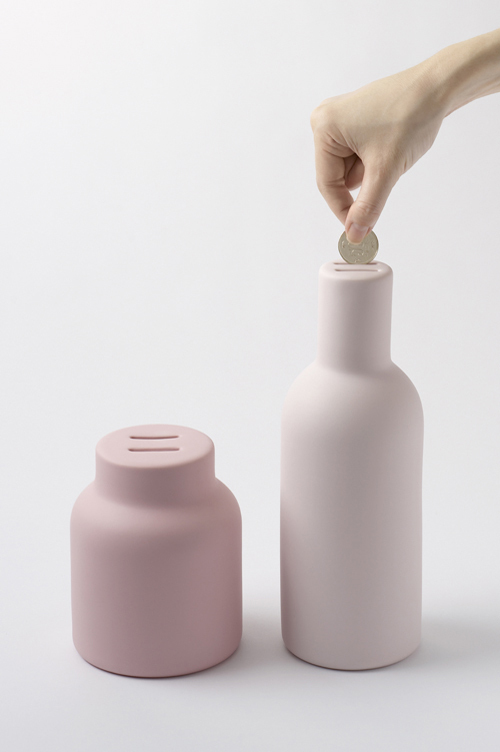 A piggy bank designed for the Isetan department store’s ‘Piggy Bank Collection’ exhibition, an official event for Design Tide Tokyo 2010. 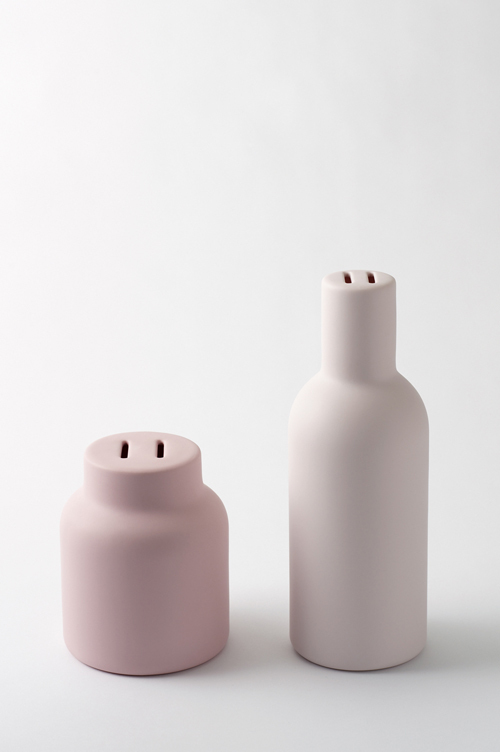 Unravelling the history of the piggy bank, we learn that the name dates back to medieval Europe, when unused coins were saved in household jars made of unglazed reddish clay, or ‘pygg’. 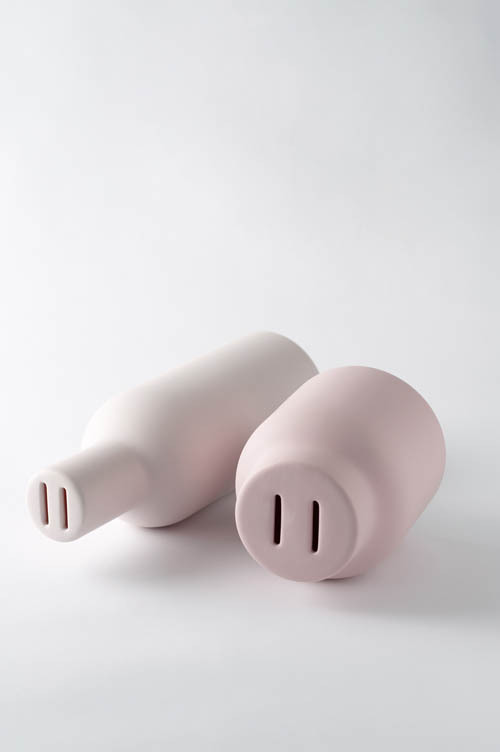 A play on words from ‘pygg’ to ‘pig’ led to the piggy bank, and the familiar porcine objects we know today. The pyggy-bank takes this history as its design concept. Offering savers a pig-snouted bottle and jar made of unglazed fired clay in which to place their hard-earned coins, it exists somewhere between ‘pygg’ and the ‘pig’.